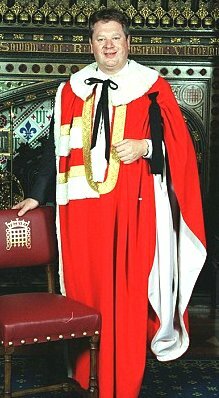 Mandergate latest! Sculpture shock! Hepworths through the roof! Sculpture shock! Hepworths through the roof! 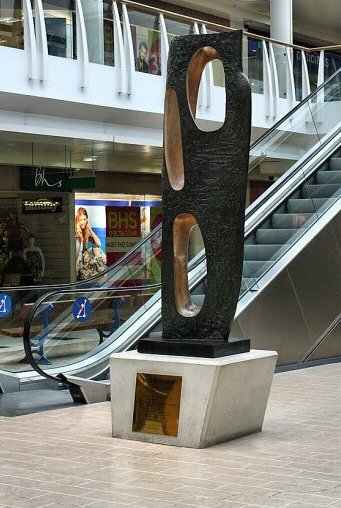 Wolverhampton’s very own million pound Hepworth sculpture has recently been removed from its public place of pride in the Mander Centre and is at risk of a sell off. In a previous post I suggested that owners RBS might sit on it, waiting for even more value to accrue. No such wait is now necessary, it seems. 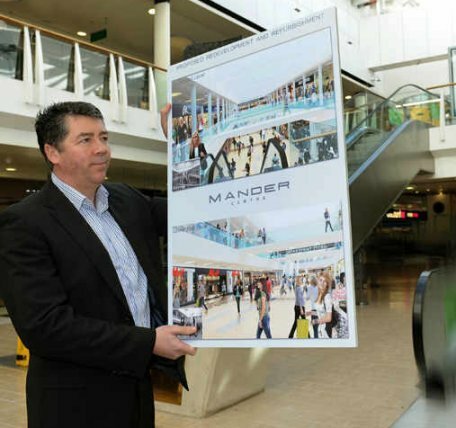 Can the Mander Centre’s Hepworth really be worth over four million smackers already? 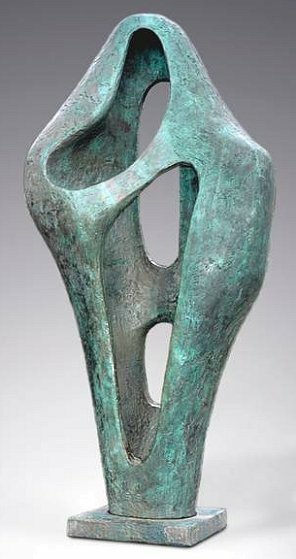 On 25th June, in a few minutes of light headed billionaire bidding at a Christie’s sale of modern British art, the value of Hepworths instantly quadrupled, making Dame Barbara officially the second most expensive female sculptor of all time (after Louise Bourgeois). The Telegraph’s vivid account of the auction makes fascinating reading for those of us who still live in the real world. On the one hand, Lord Kirkham’s bidding may have pumped up exponentially the cost to himself of his next pot at a Hepworth. On the other, his vigorous urge to collect may not have been entirely sated by the compensation prizes – a smaller Hepworth, an Elisabeth Frink and an F E McWilliam – that he did pick up the same evening at the record-busting £21 million sale. There can’t be too many super league Hepworth buyers around, so could he (or his advisor, Andrew Hobart of Pyms Gallery) perhaps be waiting in the wings to snap up Rock Form (Porthcurno), once all the fuss has died down? Frankly, I’ve absolutely no idea; it’s just a thought. 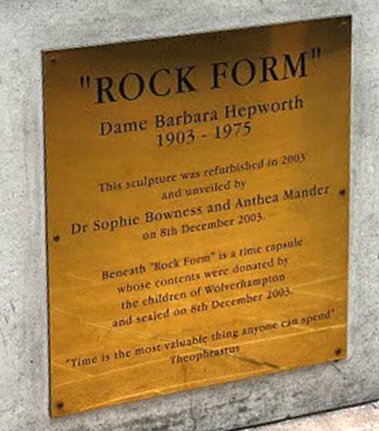 As it so happens, Dame Barbara’s blockbuster retrospective next year at Tate Britain will do little to depress the market value of Hepworths. It’s wonderful to see her importance recognised, but the money thing is getting somewhat out of hand. And poor old Wolverhampton is the loser. 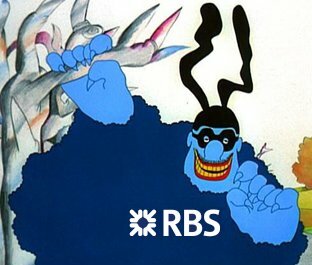 As a condition of the big taxpayer bail-out of RBS, all their 308 branches south of the border are soon to be re-glossed under the dormant (but trusted) banking name of “Williams & Glyn”, ready for a standalone flotation. The old brand still looks stubbornly toxic. There’s no doubt that the folks at RBS are still feeling a bit reputationally challenged, and this is definitely to our advantage as we keep pushing for the Hepworth’s return. So please, if you’re interested – keep up the letters and emails. As I write, the likes on our Facebook page have just passed the 400 mark, in less than a week. Brilliant! It all helps! Make some noise! 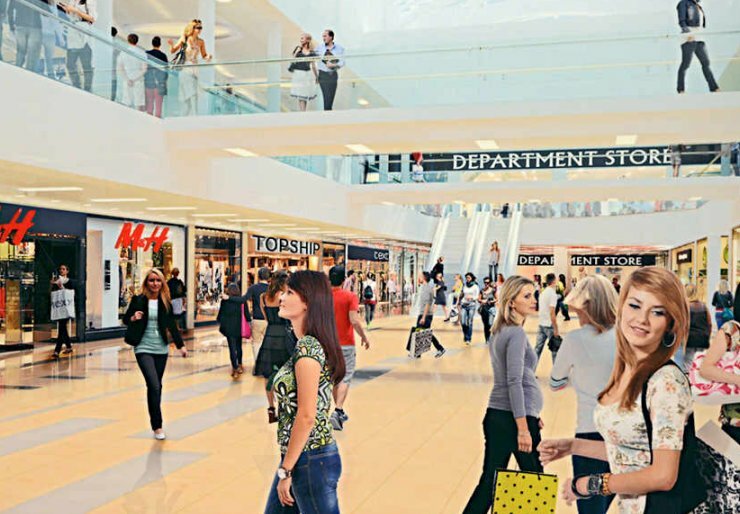 “I appreciate the concerns that you and other shoppers have raised about the statue’s future. 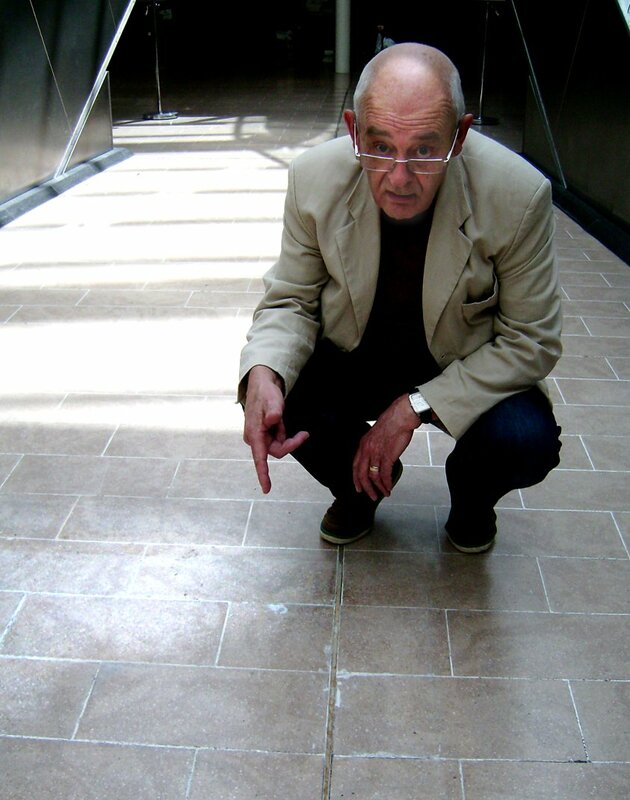 Civic & Historical Society: back to its rightful place! 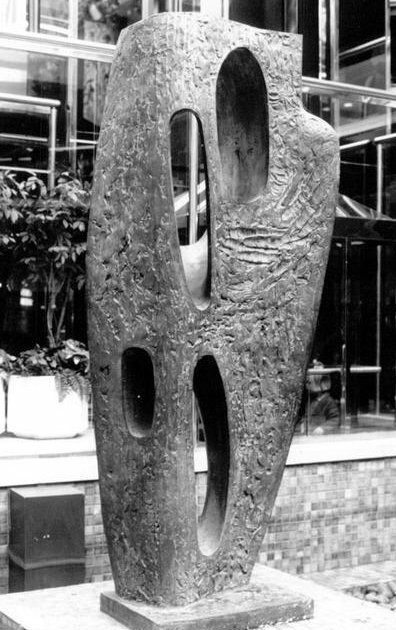 The Mander’s missing Hepworth: out of darkness cometh … Sainsbury’s? 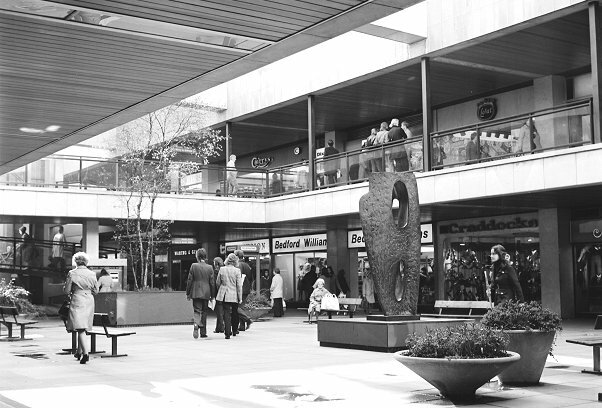 Wolverhampton’s wonderful Barbara Hepworth sculpture, Rock Form, has stood bravely in the Mander Centre for 46 years – until asset managers Delancey yanked it out a few weeks ago under cover of the Mander’s future redevelopment. 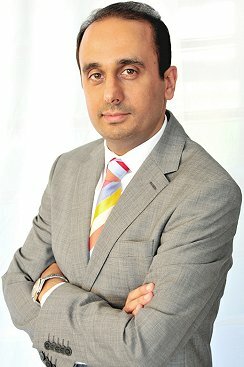 My last two posts tell the shameful story – here and here. For the last month and more, the owners and their associates have sat with lips zipped, cleverly managing not to deny that the Hepworth may be sold off. And it’s not just my enquiries that have been stonewalled – every objector has met with the same. The future for this important piece of Wolverhampton’s heritage remains completely in the dark. 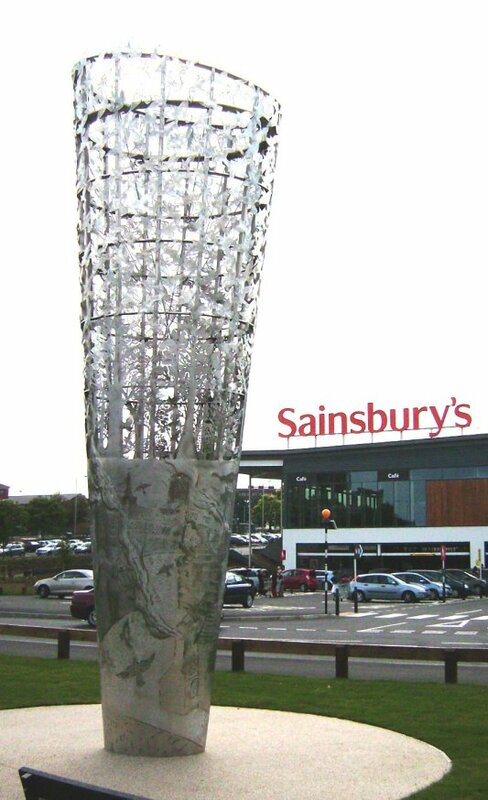 Coincidentally, just as the Mander Hepworth has disappeared, the huge new Wolverhampton Sainsbury’s has opened for business, with “at its heart” (as the Express & Star put it – actually on a small patch of grass by the entrance) a brand new artwork commissioned by the supermarket. … and in with today’s bright new corporate sculpture! Out of darkness cometh light (the city motto) is an eight metre column of stainless steel, designed by Planet Art of Pelsall, who seem to specialise in monumental stuff for supermarkets. The cornetto-ish shape is oddly reminiscent of 2012’s Olympic torches; round the base are cut simplified shapes of vanished smoky industrial buildings, from which extend trees that blossom into an Escher-style frieze of escaping birds. There is a certain portentousness about this symbolism. I was a bit stuck on what the birds might represent, apart from, well, er, birds. But according to artist Julie Edwards they symbolise hope for the future. This must be what Sainsbury’s bosses think public art should look like. I’ve seen considerably worse, I have to say. But I’m not quite convinced that Out of Darkness will still be standing proudly in 46 years’ time. With all due respect to Planet Art, is this what the City gets in exchange for its disappearing Hepworth? And is it a fair exchange? 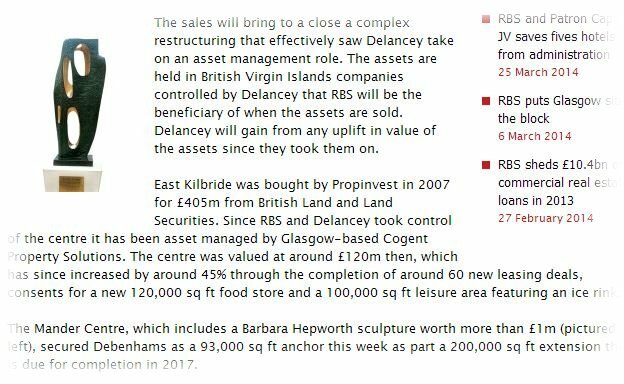 But perhaps Mander / Delancey / RBS could take a leaf from Sainsbury’s book? 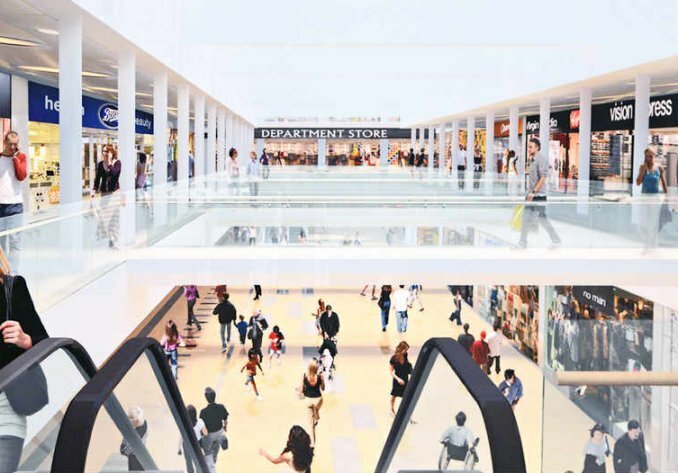 If the Hepworth goes for a million pound Burton, why not silence the objectors by filling the empty space in the revamped shopping centre with a mega-impressive sheet-metallic thingumajig, symbolic of the aspirations of a reinvigorated post-recession corporate Britain? I’d suggest a base of stylised closed doors from which extend the arms of hatchet-wielding asset strippers, releasing flocks of pound signs taking flight. It would be a vast improvement on that fuddy-duddy old Hepworth anyway. Those timeless curves and negative spaces, that grace and balance – after all, what did they mean?